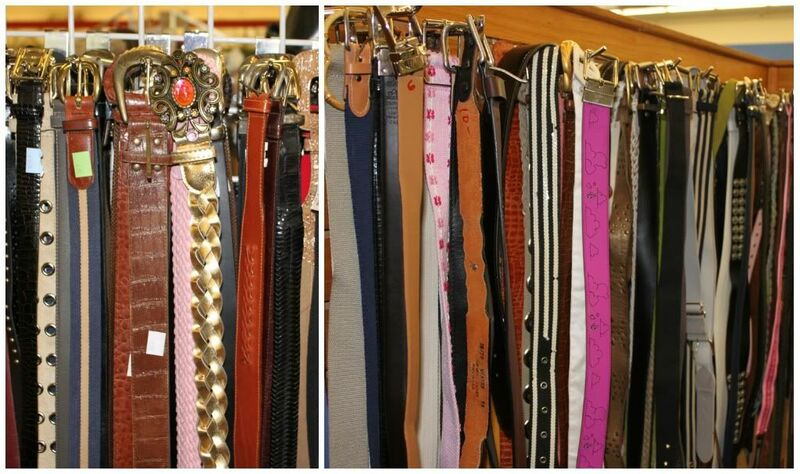 You are pretty much guaranteed to find a plethora of belts at any thrift store. BIG ones, small ones, leather ones, fabric ones, plastic ones..you get the idea...you name it they've probably got it. 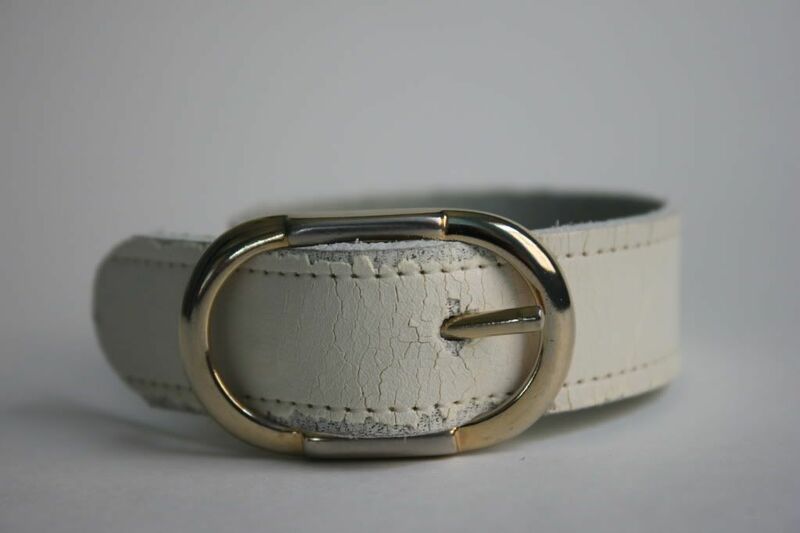 I have been on the lookout for a white, skinny leather belt. I have been wanting to do this little project for a while now, just had to wait till the right belt came along..and it did! 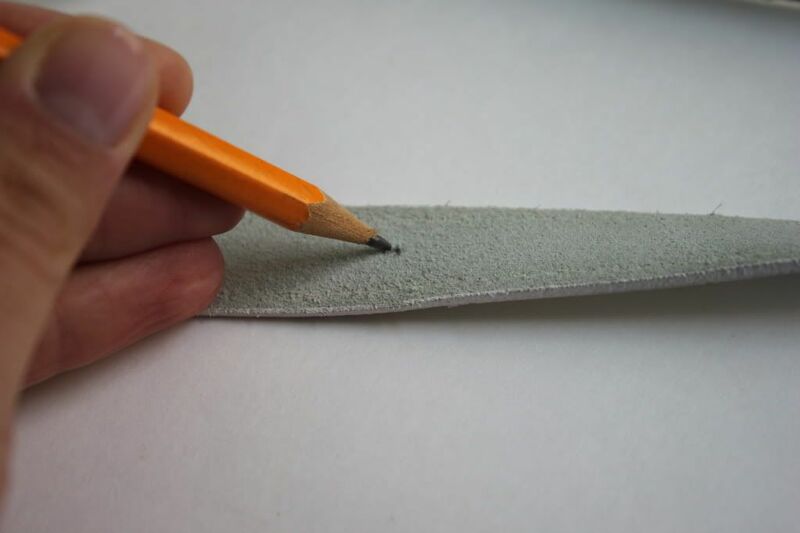 Leather punching tool. If you don't have this you can use a nail and a hammer. 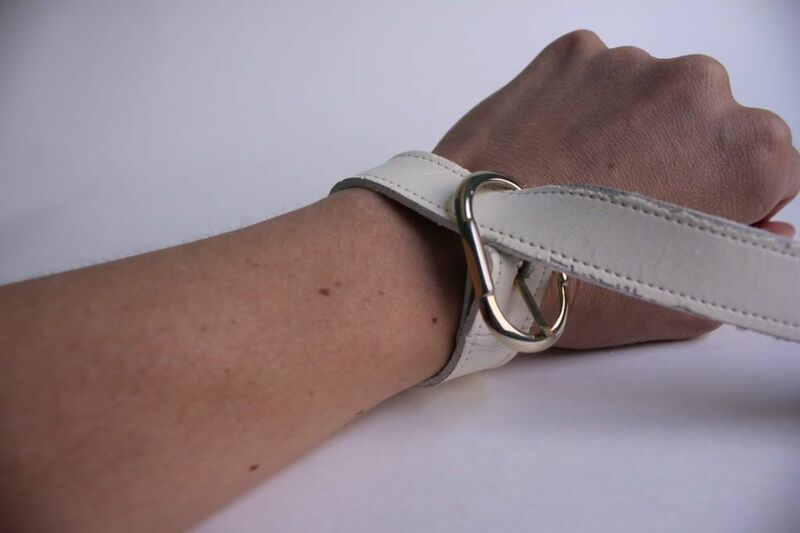 Fasten the belt around your wrist to figure out how tight you want it. 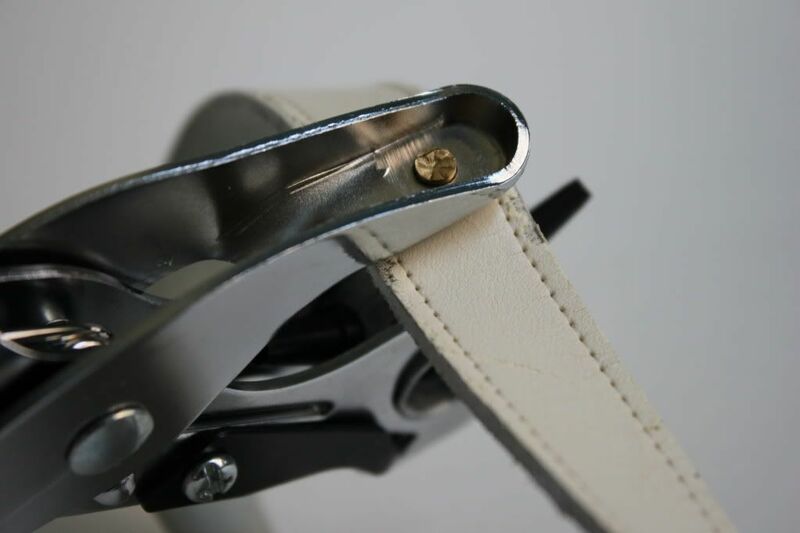 Use a pencil to mark where the new hole for the buckle is going to go. 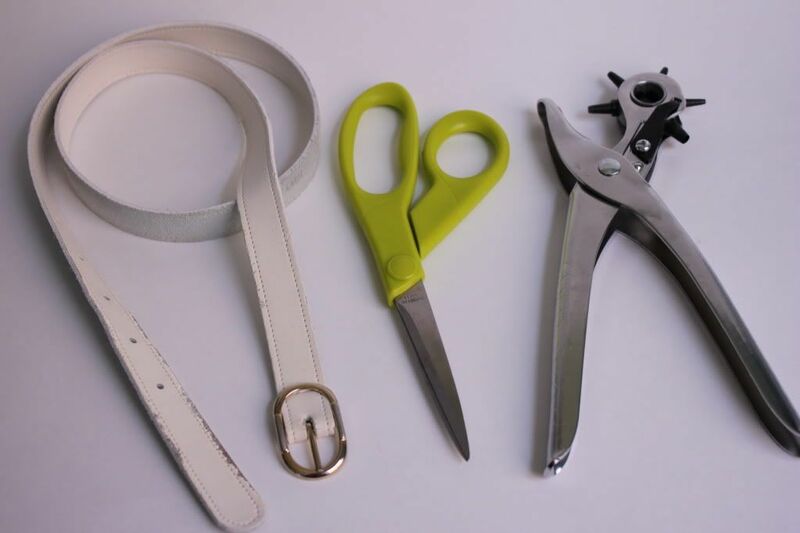 Cut about an inch behind the buckle, and round it out with the scissors. I plan on using the remainder of the belt for another little project soon. Thank you Ashley! I cant wait to see how yours turns out! Such a great idea...I love it! Knockedupfabulous- love your blog name! Glad u like it! Seriously the simplest diy ever! Awesome! 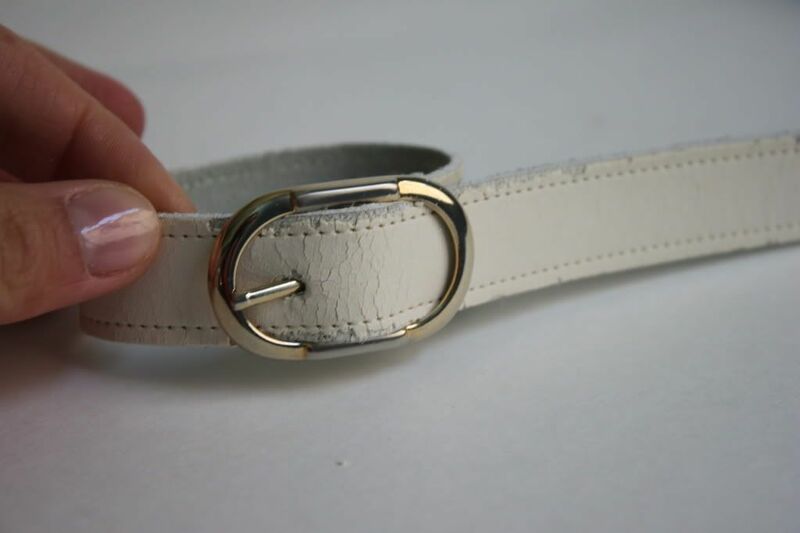 I actually struggle to find belts that fit me perfectly (without having too much extra material or not enough) so I may steal this idea and head to the thrift store tomorrow so I can make a custom fit belt! Thanks for the kind comment on my blog today! I'm glad you left it because it let me find YOU! I'm your newest follower and am so excited to start exploring your blog! Kristen- I have the same problem! I'm so glad you like it :) Send me a link of yours if you end up making it! And..does everybody get as excited as I do when I have a new follower? haha! Yup, this is totally awesome! My problem is that I keep looking at the belts but they all seem to be yucky and plasticy. Will have to keep a better eye on the belt section now! chelsea lee- Thank you! I usually find the good ones behind all the strange plastic rainbow bright ones..
Nat- Well next time your down lets make a day out of it and I will take you to all the awesome ones! Awesome! This is great! Where did you get that little tool? I would love to have you link up with me at Creative Me Monday, it's open all week! It's a new party and I'm trying to get the word out. Hi Jenny- Thank you! I got the leather punch at Michaels :) I would love to do a link up with you! I just checked out your blog too cute! So glad you stopped by! Super cute idea! looks very vintage! OH my gosh, I LOVE this! My daughter, she's almost 17, her and her friends are going to freak out, this is awesome, thank you!! !